It is pronounced Say-Shells by some. 80 percent of the local population cannot swim. There are no private beaches. Everyone is allowed on all beaches and if hotels come up on a beach, they have to ensure that the public has access to the beach. If not, they have to build access to the beach. There are 80 thousand people in Seychelles (excluding tourists), out of which 39 thousand are foreigners. Fishing is the 2nd largest occupation. They have the Biggest Tuna Factory in t the Indian Ocean and Africa. There are 100,000 offshore companies.. Now that is an interesting bit of information.. esp for me at work! Cayman and BVI move over! Education is free! Children in La Digue and Praslin are sent to the mainland(Victoria) to study and everything from hostel accommodation to food is free. Since Seychelles is 4 degrees from the equator, there are no cyclones/volcanoes or wild animals for that matter! 65% of Mahe is protected. 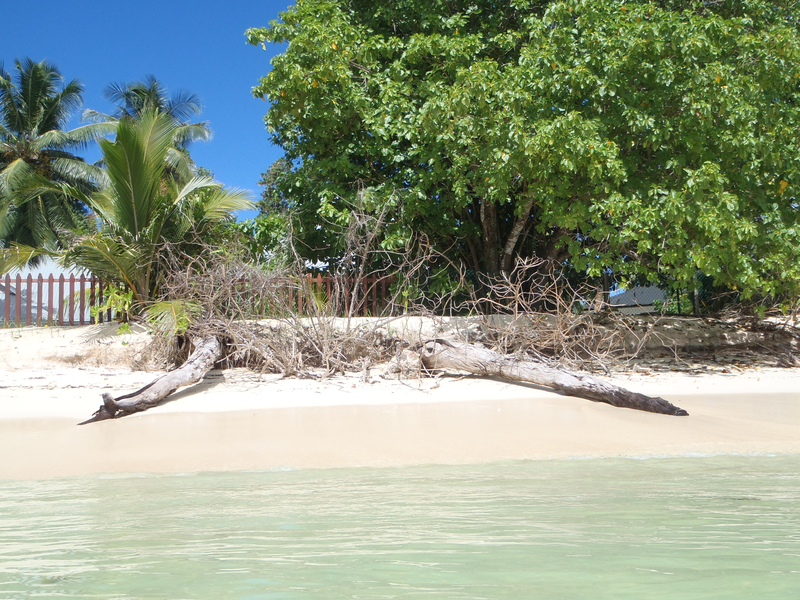 In Praslin and La Digue trees are only trimmed not cut. It is protected and one requires special permission to chop trees. They want to introduce VAT in addition to the 16% tax that they already have. It was the last land mass to be broken from India and is drifting down.